A popular smartphone OS in Europe and much of the world before the iPhone. Nokia was its main developer and user. Nokia tried to license the OS to other manufacturers, with limited success. Nokia has since focused its efforts on Windows Phone. Google today announced some "Winter Cleaning," which will see it shutter a few mobile products and services. In particular, Google said that as of January 30, 2013, consumers won't be able to set up new devices using Google Sync. Devices that already use Google Sync will continue to work. Google suggests that people use IMAP, CalDAV and CardDAV instead to duplicate those services. Google Sync for Symbian S60 handsets will also no longer be available after January 30, 2013. Google is killing off Google Calendar Sync for all mobile devices today, December 14. Last, Google plans to get rid of Punchd, a service that lets Android and iOS device owners manage their retail loyalty cards. Punchd will go inactive starting June 7, 2013. 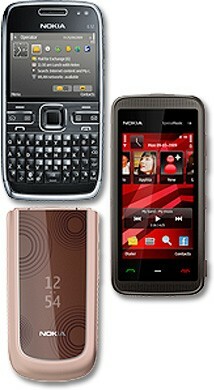 Nokia to Stop Selling Symbian and S40 Phones in U.S. In an interview with AllThingsD's Ina Fried, Nokia U.S. President Chris Weber said that the company will cease selling its Symbian smartphones and its S40-based feature phones in the U.S. market. Weber said, "When we launch Windows Phones we will essentially be out of the Symbian business, the S40 business, etc. It will be Windows Phone and the accessories around that. The reality is if we are not successful with Windows Phone, it doesn’t matter what we do (elsewhere)." Weber indicated that the company is prioritizing the North American market with its forthcoming Windows Phone devices, and will sell them only through U.S. wireless network operators. He also noted that Nokia's San Diego facility will be behind the first batch of Windows Phone 7 devices that it will launch, which will be targeted at the U.S. market. Nokia has long sold feature phones through U.S. carriers, though few of its S60/Symbian smartphones gained traction with U.S. buyers. Nokia announced in February that it would cease developing Symbian and would instead adopt Microsoft's Windows Phone 7 platform. PayPal has made a new mobile application available to the Nokia S60 5th Edition and Symbian^3 platforms that lets users access their PayPal accounts from their Nokia phone and perform tasks such as send payments an manage their account. Nokia today released an update to its Ovi Store software for all devices running Symbian^3, S60 3rd Edition and S60 5th Edition. The update is being distributed to make sure that Nokia's devices maintain compatibility with its back-end systems. It also provides a boost in performance. In order to update, users need only open the Ovi Store app on their device. Nokia Beta Labs has today released a new version of Nokia Email for S60 3rd Edition Feature Pack 2 handsets. Version 3.05 brings support for HTML emails, which are now opened directly in the email program. Other new features include data encryption, stronger password support, longer email signatures, and embedded image support. The new beta software is specifically for a handful of Nokia's E Series business devices, including the E72, E73, E52, E5-00, or C5. The beta is free to download. Nokia announced a new beta version of Ovi Maps for Symbian^1 (S60 5th Ed.) and Symbian^3 devices. The refreshed software offers a handful of new features. Nokia has improved the search functionality of Ovi Maps in order to help users locate nearby points of interest. It also offers search suggestions as users type their query. Nokia has added a Foursquare-esque feature that allows Ovi Maps users to check-in to their current location through a variety of social networks, such as Facebook. Users can then choose to share their location with friends via text message or email. One of the biggest improvement in Ovi Maps for S^3 devices is the addition of gesture controls. Users will be able to use pinch-to-zoom as well as pan and swipe for on-screen map navigation. Last, Ovi Maps now offers real-time traffic information as well as travel and safety alerts, speed limit warnings, and gas station locations. Nokia says the beta of Ovi Maps will be available later this month, and is expected to hit general release by the end of 2010. Swype and Nokia today announced a beta version of Swype text input for Symbian S60 5th Edition phones. The limited beta of Swype works as it does on other touch devices, and allows users to trace out words on their touch screen rather than peck at them. The predictive software analyzes the trace patterns and helps cut down on text entry time. Right now, the devices that can run Swype for Symbian include the Nokia N97, N97 mini, X6, 5800, and 5230. Nokia and Swype hope that beta testers will provide feedback about any bugs or problems they may encounter. Nokia has added the C6, E5, and C3 devices to its U.S. web site, stating that the phones will be available soon. The C6 and E5 run S60, and the C3 runs S40. All three will be sold unlocked. Shipping dates have yet to be provided. Skype recently released version 1.1 of the Skype application for the Symbian platform. The main improvement this version of Skype brings to Symbian handsets is a large reduction in the size of the application itself, which All About Symbian reports is down to 10MB. Skype 1.1 for Symbian supports multiple IM conversations, voice calls via VoIP, photo and video messaging, and group chatting. The application is compatible with most S60 3rd and 5th Edition devices, as well as a handful of Sony Ericsson Symbian devices. Nokia today unveiled a trio of new messaging devices, including new phones in the burgeoning Cseries line. All of the new phones, the C3, C6 and E5, sport a full QWERTY keyboard, and the C6 features a touchscreen, as well. C6: The Nokia C6 is a touchscreen QWERTY slider running Symbian S60 5th edition. The phone features a high resolution, 3.2 inch screen. Around back, the C6 uses a 5 megapixel camera. The phone gets Nokia Messaging support and the free Ovi Maps navigation service. Nokia says the phone will last for 7 hours of talking time. The Nokia C6 will be available Globally in Q2 2010. Nokia will have two variants of this phone, one of which will support AT&T's 3G network in the 850 band. C3: The Nokia C3 is the least expensive of the bunch, coming in at â‚¬90 without subsidies. The slab QWERTY phone runs the simpler S40 operating system, and it gets Nokia Messaging support, but not Ovi Maps. The Nokia C3 does feature Wi-Fi, but other features are more low-end. The phone lacks 3G networking capabilities, and sticks with quad-band EDGE for data. 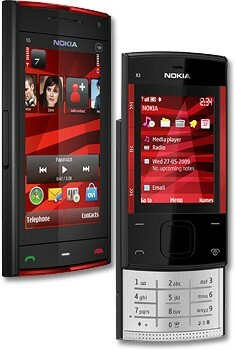 The Nokia C3 will also be available in Q2 2010. E5: The Nokia E5 succeeds the Nokia E71 and E72 on the business phone lineup. Though the E5 is a bit thicker than its predecessors, it's also a bit lighter. Nokia claims the E5 will get 18.5 hours of talk time. The phone runs Symbian S60 3rd edition, and will come with Ovi Maps on board. Nokia lists the E5 in two distinct 3G flavors, one of which includes support for AT&T's 3G radio bands, though the company has yet to confirm that we'll see this phone stateside. It will be available in Q3 2010. Nokia has yet to announce specific availability, but reps say the devices will be available globally, which means the North American market will get them in some form. Today Nokia released Ovi Maps as a free software update for the E66 and E71 business class devices. The new version of Ovi Maps offers free walking and driving directions. Owners of the E66 and E71 will need to download the Ovi Maps software to their computer first and use Nokia's desktop software to add it to their devices. Nokia launched free Ovi Maps earlier this year, and it already supports a number of S60-based devices. Today Nuance Communications introduced TALKS 5.0, new software for S60 5th Edition handsets that will read displayed text to the blind or visually impaired. The software can interact with many of S60 5th Edition's features, including the contact directory, caller ID, text messaging, and the Web browser. The software features an exploration mode that lets users slide their finger across the screen to hear menus, applications, widgets, and text. It also works with software keyboards to permit text entry. The software is licensed to the user's SIM card, allowing them to use many different touch phones without the need to re-purchase or license the software. It is available starting today in 20 different languages. Today YouTube released a new version of its mobile software for the Windows Mobile and S60 platforms. YouTube mobile 2.4 improves speed performance and also introduces several new features. The new features include search query suggestions, end-user account support, and a new homescreen user interface that is optimized for larger screens. The new software is a free download for WinMo and S60 phones starting today. Today Nokia and Skype jointly announced the Skype application for Symbian-based devices and have made it available for download in the Ovi Store. The application will work with many Symbian^1 devices, including S60 3rd Edition and S60 5th Edition phones. Skype for Symbian lets users make free Skype-to-Skype calls; enjoy reduced SMS rates when abroad: send/receive IMs to/from indivisuals or groups; share pictures, videos and other files; receive calls to their existing online number; and see when Skype contacts are online and available to call or IM. The application is a free download, and will work over Wi-Fi as well as GPRS, EDGE, and 3G data connections. Today Nokia unveiled the C5, its first phone bearing the new Cseries naming convention. The C5 is a candybar phone with quad-band GSM/EDGE and dual-band 900/2100 HSPA. It runs S60 3rd Edition and also has GPS and Bluetooth 2.0. The C5 has a 3.2 megapixel camera with flash, a 2.2-inch display, and includes the latest version of Nokia's Messaging service (supporting Google Talk and Windows Live Messenger). Nokia says that the C5 has a new phone book that integrates with Facebook where users can see their friends' status updates directly from Facebook. The home screen also borrows some elements of S60 5th Edition, and places three contacts directly on the home screen for quick access. The C5 supports miroSD cards up to 16GB (boxed with 2GB card), has an FM radio and a 3.5m audio/video out jack. Nokia said the C5 will be avaialble in European and Asian markets during the second quarter for about $182. Google has made Maps for Mobile version 4 available to the Android, S60 and Windows Mobile platforms. Once installed, Maps 4.0 will enable Google's Buzz social networking service within the layers feature of Google Maps. Today Skyfire announced two new browsers for S60 devices. Skyfire 1.5 for S60 3rd Edition offers smoother scrolling; an updated user interface; and performance tweaks that make the browser perform faster. Skyfire 1.5 for S60 5th Edition (beta) offers a refreshed finger friendly user interface for touchscreens; kinetic scrolling to pan or flick the screen to move in any direction; full-screen browsing with no visible UI elements; and the ability to auto-rotate to allow for landscape and portrait browsing. Both versions can be downloaded from Skyfire for free starting today. fring recently announced a new version of its software for select S60 devices that lets users place video calls to other phones from their mobile device. fring video calls are possible with other fring and Skype users via Wi-Fi or 3G networks. fring already provides free voice calls to fring, Skype, Google Talk and regular phones via Skype-Out. Right now, the video calling feature is only possible on Nokia X6, N97 mini, N97, 5800, N95 8G, N95 and N82 devices. fring's social networking and voice features support Symbian S60, iPhone/iPod touch, Android, Windows Mobile, J2ME and Linux devices. Today Opera Software released a beta version of Opera Mobile 10 for the Symbian platform. Opera notes that the biggest new features offered by Opera Mobile 10 are a vastly redesigned user interface for the browser, though it still maintains core features such as speed dial and tabbed browsing. Mobile 10 supports both touch phones and phones with standard keypads. Turbo, Opera's server-side compression service, is built into Opera Mobile 10, and Opera says that users should experience a significant increase in speed and performance. The beta supports S60 3rd Edition and S60 5th Edition and is a free download from Opera. Today Nokia introduced a new line of music phones, dubbed the X Series. The first two phones in this series of devices are the X6 and X3. Both phones support Nokia's Comes With Music service other other music-centric features such as stereo Bluetooth and rich media players. Other shared features include quad-band GSM/EDGE radios, GPS, Flash Lite 3.0 support and integration with Nokia's Ovi services. The X6 and X3 will be available in the fourth quarter. X6: This monoblock device features a capacitive touch screen and runs S60 5th Edition. It will have tri-band 850/1900/2100 WCDMA 3G radios to support the North American market. Other features include a 5 megapixel camera with Carl Zeiss lens and dual-LED flash, full web browser, video and imaging editor and support for Java and Symbian widgets. X3: This slider runs Series 40 and has a built-in FM radio antenna. Other features include microSD card support up to 16GB, 3.2 megapixel camera with autofocus, lighted effects and stereo speakers. Today Nokia announced the 6760 Slide, a new phone that is targeted at those who use their phones primarily for messaging and to access social networking services. The 6760 Slide is a world variant of the recently announced Surge, a slider that has a full QWERTY keyboard. The biggest difference between the 6760 Slide and the Surge is that the 6760 Slide steps up the camera to 3.2 megapixels. Nokia says that the device comes with Ovi's messaging services on board, which will support push email and Google Talk and Windows Live Messenger IM services. It has quad-band GSM/EDGE and 900/2100 WCDMA/HSDPA radios, GPS, and a Flash-enabled web browser. The Surge runs S60 3rd Edition. It will be available in the third quarter for about $285. According to the Symbian Foundation Blog, Symbian has recently released the first PDK (Product Development Kit) for Symbian ^2. The PDK includes several tools for developers, including the full version of the Symbian OS and S60 OS, as well as bits of NTT DoCoMo's MOAP OS and Sony Ericsson's UIQ OS. These are the tools that developers and handset makers will need to bring Symbian ^2 devices to market. Further, in the blog post author Anatolie Papas admits that the S60 brand "will soon cease to exist." S60 is the platform that Nokia uses for its E series and N series devices. Nokia, itself, has not said what platform it will use to replace S60. Symbian ^2 is the first major OS release by Symbian in its new configuration, which should be available in handsets late 2009 or early 2010. Symbian will then follow a six-month release cycle, and release Symbian ^3 by the end of 2009, and so on. Nokia recently made a new version of Java Runtime available for S60 phones. It includes some usability and performance improvements and a host of other under-the-hood changes. Nokia says it will be easier to install applications, and applications will boot easier. Nokia also said that from now on Java updates will come separately from core system software updates. Java upgrades can be accessed via the built-in Nokia S60 Software Update feature. Right now, Java Runtime 2.0 is available only for S60 5th Edition (the 5800 XpressMusic and N97). Nokia didn't say when it would become available to S60 3rd Edition phones. Today Nokia introduced three new phones that range from business to multimedia to basic use. All three have quad-band GSM/EDGE radios and Bluetooth. E72: This bar-style phone runs S60 3rd Edition FP2 and has a full QWERTY keyboard. This spiritual successor to the E71 has several upgrades, including a 5 megapixel camera with autofocus and flash, 3.5mm headset jack, and a new "optical navi key" built into the D-pad for navigating and scrolling through the phone's menus. Other features include GPS, Wi-Fi, A2DP, microSD support, and built-in instant messaging and a more robust email client. It will come in a tri-band HSDPA 850/1900/2100 variant for North American markets. It is expected to hit the street by the end of the third quarter for $489. 5530 XpressMusic: This touch-based device is a follow up to the 5800. It runs S60 5th Edition and has a 2.9-inch screen, 3.2 megapixel camera with autofocus and flash, proximity sensor, accelerometer, and support for 16GB microSD cards. It has A2DP and Wi-Fi, but is limited to EDGE data. It should be available during the third quarter. 3710 Fold: This basic flip phone will come in a tri-band HSDPA 850/1900/2100 variant that includes 3.2 megapixel camera with flash, GPS, and media player. It runs Series 40 and will be available in the fourth quarter. Nokia recently began offering an updated version of its Ovi Maps 3.0 Beta product for free via the Nokia Beta Labs web site. This new version has several new features as well as performance improvements. The biggest new feature is support for S60 5th Edition touch-based devices (N97, 5800 XpressMusic). Others include new weather information and an updated list of points of interest. Performance has been improved with updated maps, better pan and zoom functionality, better traffic information and the location of automatic camera-based speed traps. Ovi Maps 3.0 Beta also supports S60 3rd Edition FP1 and FP2. Today Facebook for Nokia S60 Touch (5th Edition) became available in the Ovi Store. The free download will allow users of devices such as the Nokia 5800 XpressMusic and the N97 to access and interact with their Facebook account. Nokia and Adobe are now offering Flash Lite 3.1 for S60 5th Edition. The 700Kb download is available via the App Update tool. Once installed, Flash performance is improved. Also, the Nokia Messaging Client has moved from beta status to a full release for S60 5th Edition. Changes for the new release include bug fixes and more language support. Nokia also said that it is working to bring homescreen integration and support for HTML email to the next version of Nokia Messaging. Today Nokia announced the 6730 Classic, a new bar-style phone that runs S60 and includes quad-band GSM/EDGE and 900/2100 HSDPA radios. Other features include GPS/aGPS, a 3.2 megapixel camera with video capture, Bluetooth 2.0, FM radio and support for 8GB microSD storage cards. The phone will be available by the end of June. Today Google announced a new beta version of Google Sync for the S60 mobile platform. Google Sync allows users to wirelessly sync contacts and calendar information between their mobile device and their desktop Google account. It provides push-based, real-time, two-way syncing, so changes made on the device are reflected online, and vice versa, within a matter of minutes. The beta software is a free download and requires additional software from Nokia to be installed, as well. Documents became public today on the FCC web site that detail an unannounced Nokia phone for AT&T. 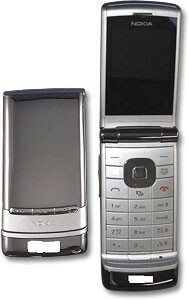 The Nokia 6750 "Mural" is a clamshell phone with dedicated music keys and an outer display hidden behind a mirrored shell. Documents confirm 3G in the 850/1900 bands that AT&T uses. Also confirmed are a memory card slot, Bluetooth, and a camera. The early draft user manual refers to Video Share and Media Net - both AT&T service brands - and the keypad has a dedicated "CV" button for AT&T's Cellular Video service. It is not clear if the 6750 will have the S60 smartphone OS like the 6650 fold. Nokia Expands Photo Browser Availability to S60 3rd Ed. Nokia's Beta Labs has made a new version of the recently announced Photo Browser available to S60 3rd Edition Feature Pack 1 and Feature Pack 2 handsets. Previously, it was only available for S60 5th Edition. The Photo Browser gives S60 users another way to interact with images on their handsets, and has a feature called Face Tracking that lets users browse the faces of people captured in photos. Noka Beta Labs has also updated its Share Online application for S60 3rd Ed FP1 and FP2, making it easier to share photos with contacts. Both are free downloads available from the Beta Labs site. Google has created a YouTube application for S60 3rd Edition and Windows Mobile handsets that allows users to search for videos, as well as quickly find most viewed, recently added and the top rated videos. Once users pick a video, the application will play it in the full screen. The application doesn't allow users to upload videos. YouTube for S60 and WinMo handsets is available for free, and a link is available to the file from the mobile YouTube home page. It is available in the U.S., the U.K., Ireland, Australia and New Zealand.